For more than 12 years, Geophysicist Paul Bauman and his team have been using Juniper Systems’ Archer rugged handheld to collect data on near-surface discovery projects around the globe. And after his extraordinary discovery of a WWII escape tunnel in Lithuania, Bauman was recruited to work on Discovery Channel’s “Finding Escobar’s Millions” project and television show. 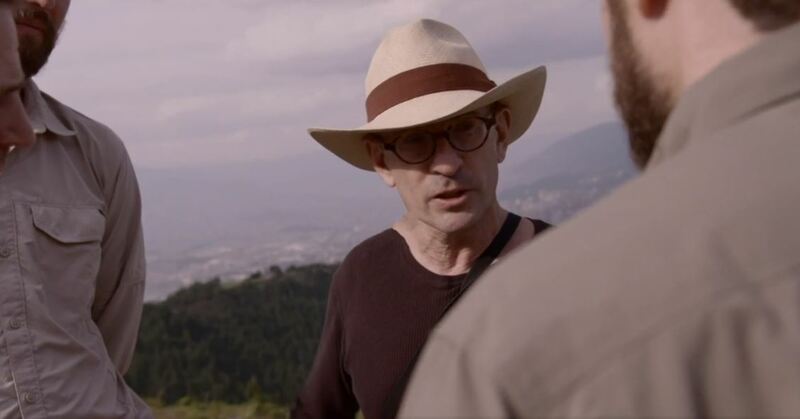 With the guidance of former CIA agents Doug Laux and Ben Smith, Bauman travels throughout Colombia in search of Pablo Escobar’s buried millions. In 1980, Pablo Escobar became the richest drug dealer in history. At the peak of his drug trade, Escobar was making over 60 million U.S. dollars a day. He couldn’t spend the money fast enough and banks wouldn’t accept it, so he began to bury it. He was hunted relentlessly by Colombian and American law enforcement, forcing him to be on the run at all times. In preparation for a quick escape, Escobar also buried gold, weapons, and ammunition, in addition to the millions of U.S. dollars. It is believed that thousands of barrels of cash, gold, and other goods remain buried, waiting to be found. Discovery Channel was given permission by the Colombian government in 2017 to launch an investigation to find Pablo Escobar’s hidden millions. As the center of his cocaine production and distribution for ten years, Paul and the team head to Medellin, Colombia. And though the investigative work of the CIA agents was a necessary part of locating this buried money, it’s not enough. Bauman is needed to know exactly where to start digging. Geospatial data was crucial in identifying exactly where to look in a designated area. 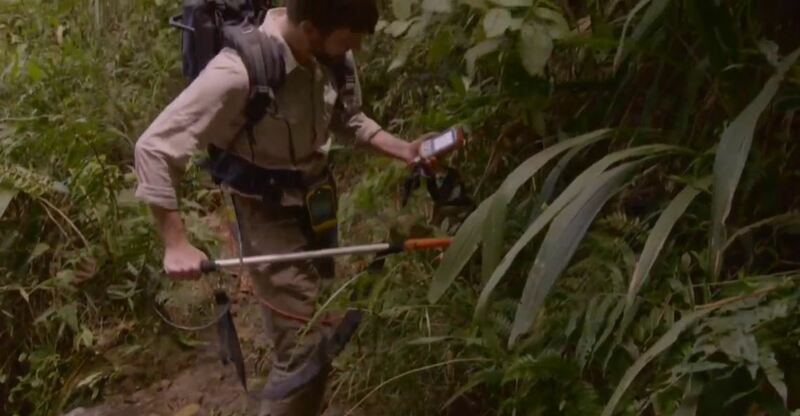 Connecting the Juniper Systems Archer rugged handheld with an EM61 Metal Detector and an EM38 Conductivity Map, Bauman and his team have the ability to identify even the slightest suspect area. 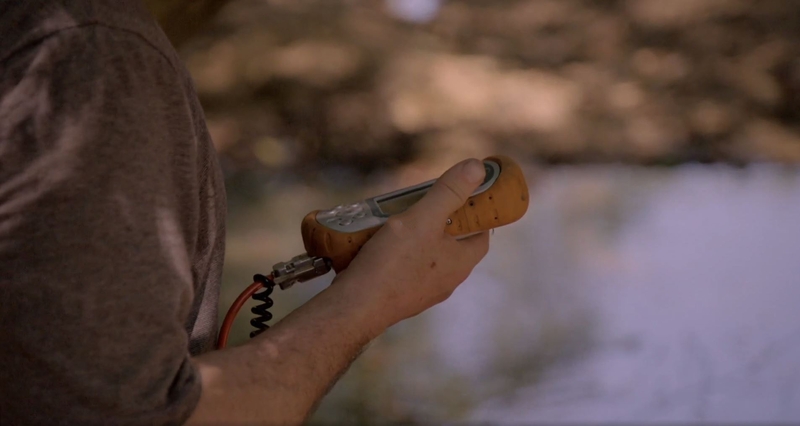 Using an EM61, Bauman identifies objects underground by measuring their unique physical properties. The EM61 metal detector has a great depth of investigation, is highly sensitive to the mass of an object, and is capable of seeing all kinds of metals. The EM38 provides the ability to measure subtle changes of electromagnetic conductivity within the soil. This helps to identify any area where a previous excavation may exist (where higher connectivity means more moisture in the soil and lower connectivity means more airspace in it from being disturbed). As the data was collected and displayed on the Archer, Bauman and his team identify where to start digging. In one episode, the team finds themselves in a thick Colombian jungle in El Oro. Largely Escobar’s property, El Oro is riddled with processing labs and escape routes. The team suspects that these escape routes are a likely place for finding hidden money, weapons, and more for a quick getaway. With the use of high-resolution drone maps, a suspected escape route was detected. Paul quickly detected a large metal object right on the escape route. After significant efforts made to dig it up, and to much dismay, the discovered metal barrel was empty. 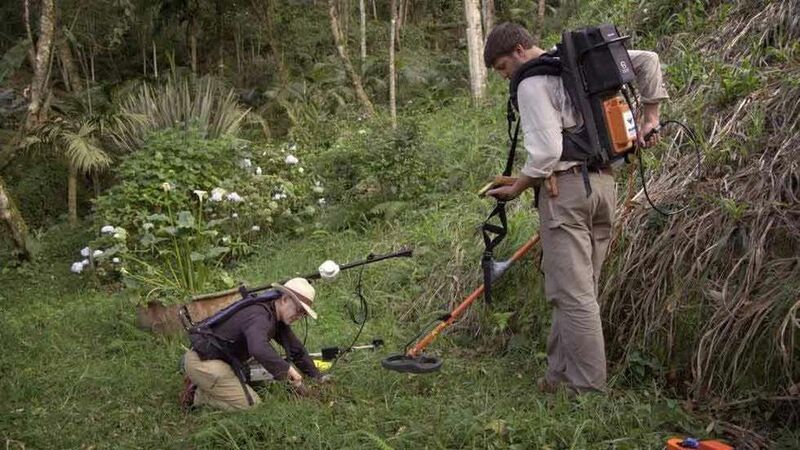 The Discovery Channel documented the remainder of the investigation as it took the CIA agents and Paul Bauman’s geophysics team to several locations in Northern Colombia. At each spot, the Archer collected data from ground-penetrating radar and metal detectors. The excavations frequently yielded hidden stashes, but in all instances, the treasure had been removed. However, Colombia remains a large country and the search is not over. When the project resumes in season 2, sophisticated geophysics is certain to play a key role. To learn more about the latest in our line of Archer data collectors, contact Juniper Systems at 435-753-1881 or sales@junipersys.com.